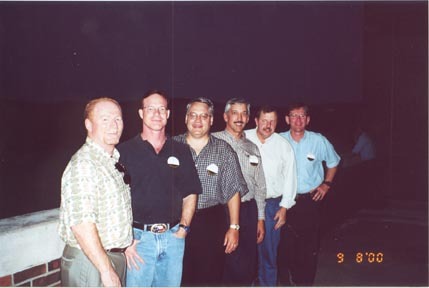 Dave Backledge, Mike Pinkney, Steve Furst, Neil Putz and Steve Beever, with John Hodges on his knees. 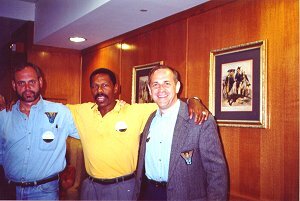 Steve Furst, Mike Pinkney and Neil Putz. 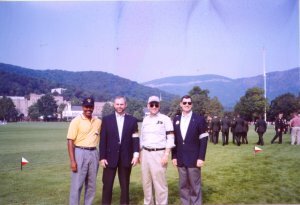 Mike Pinkney, Steve Furst, Steve Beever and Dave Blackledge. 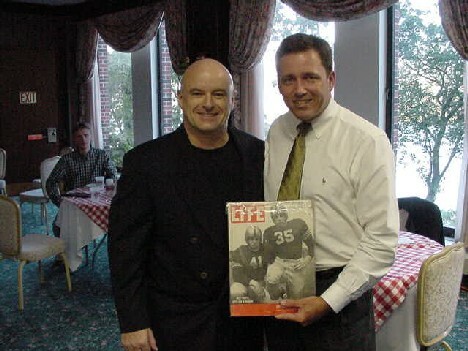 Yours truly with Coach Todd Berry at WBNR's "Army Insider Show" after I'd presented him with a vintage 1946 edition of Life Magazine with Glenn Davis and Felix "Doc" Blanchard on the cover. 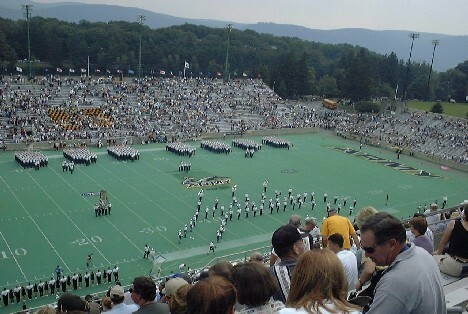 The march-on at Michie for the game against Boston College. 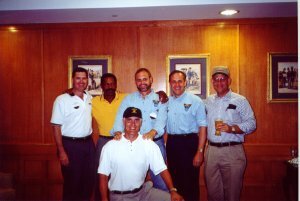 I2's Danny Stroud, Mike Doyle, Johnie McAlister, John Sidoni, Fred Place and Tom Helms in barber shop sextet formation. 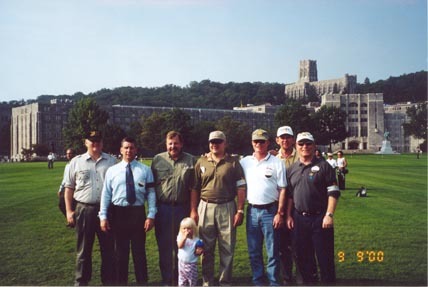 I2's Joe Parker, Phil Edwards, Fred Place, Johnie McAlister, Mike Doyle, Tom Helms and Danny Stroud in formation behind the unit commander, Phil Edwards' daughter. 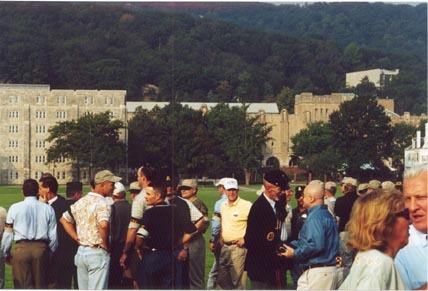 Post parade with Darrow, F4, conversing with Bob Johnson, '55 (in the Billy Yank cap).